After a mammoth 2018, Sundown Festival has another incredible line-up set for 2019 with Anne-Marie and Tinie Tempah confirmed as this year’s headliners. Joining them on the main stage will be Grammy and BRIT Award nominated DJ Jax Jones, rising star Mabel, Not3s, chart-topping Jonas Blue, Example, pop sensation Ella Eyre and many more. Garage legend DJ EZ, Sigala and Macky Gee will open the weekend at the Campers Party on Friday, plus stage partners UKF, Together, CruCast and Abode are bringing the likes of Andy C, Holy Goof, Dimension, Sonny Fodera, Disciples, MK and many more with them. If that wasn’t enough, Mystree will play host to a diverse line-up including Artwork, Horse Meat Disco, Hannah Wants and Sam Divine. 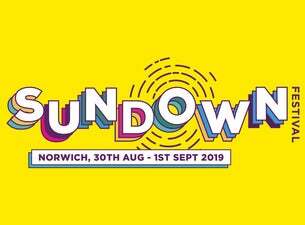 So there’s no denying that 2019 is set to be the biggest Sundown yet!